Information on the biomedical labor market is necessary both for the formulation of policies that ensure its sustainable future as well as for informing individual career decisions. 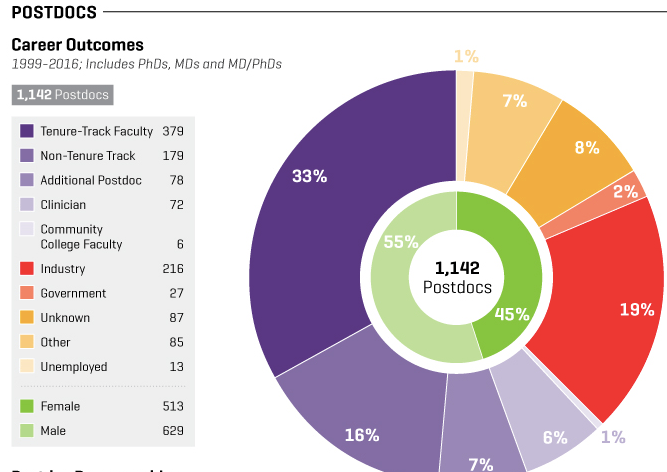 After announcement in Science, a coalition of universities pledged to release information on all of their biomedical graduate students AND postdocs. 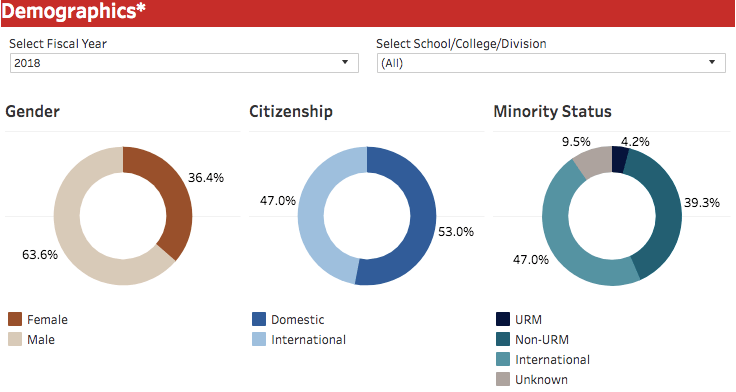 The data can be accessed from this page by institution and we have updated our career outcomes tracking resource with this information. 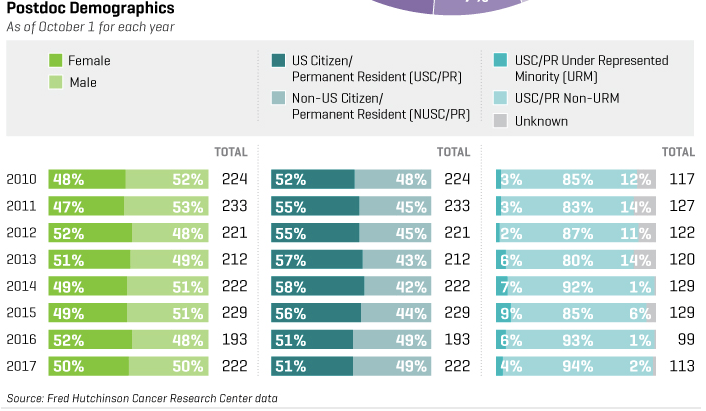 Data is reported by institution and again FoR congratulates UCSF, Johns Hopkins, University of Wisconsin, Fred Hutchinson Cancer Research Center, University of Pennsylvania, University of Maryland Baltimore County, Cornell University and Weill Cornell, Duke University, MIT, and University of Michigan for leading this movement and releasing this data. 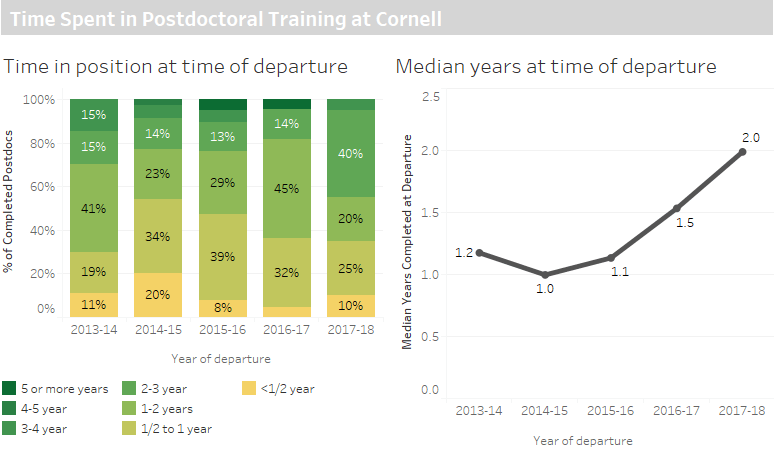 The coalition has laid out a roadmap with important milestones for releasing trainee information in a progressive fashion, and the next data release scheduled is October 1st for time in postdoctoral training at each institution. 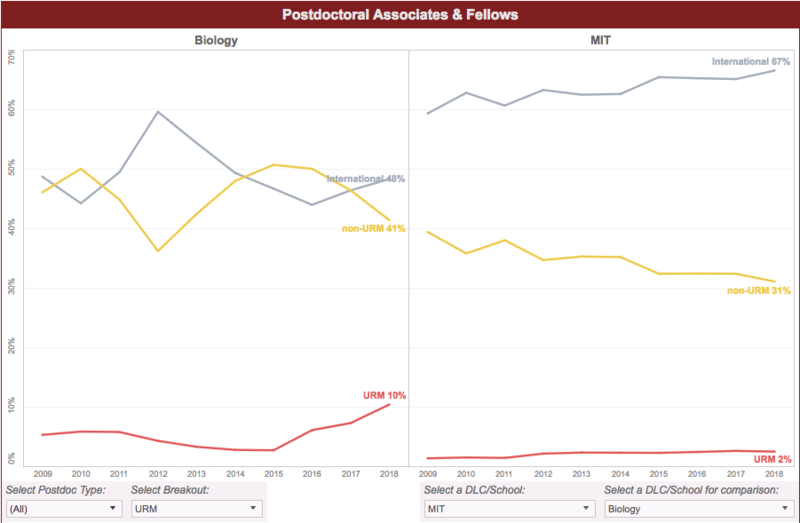 It is important to remember that, in contrast to graduate admissions which are carried out at a program- or department-wide level, the decision to hire a postdoc usually rests entirely with a Principal Investigator, with Human Resources complying with the hiring decision of the PI. 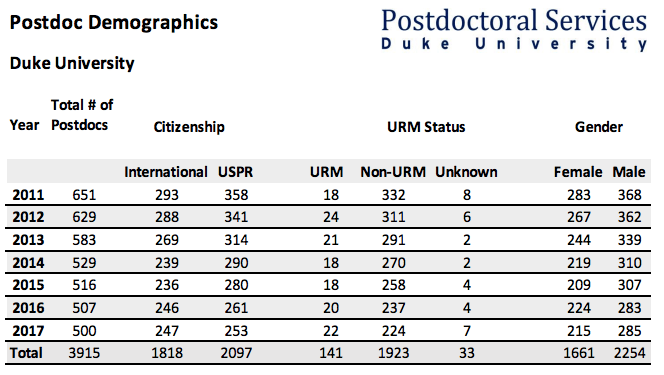 Therefore the demographics of postdocs more accurately reflect the hiring behavior of PIs than of institutions per se. 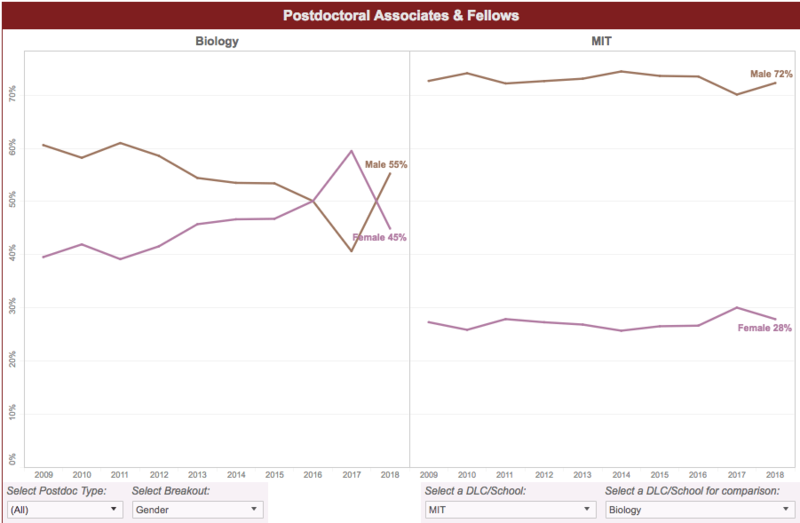 For example, we might therefore expect that as more of the professoriate (especially the senior professoriate) is male, phenomena such as those reported in “Elite male faculty in the life sciences employ fewer women” may be seen in the data coming out from an institution, or department as a whole. 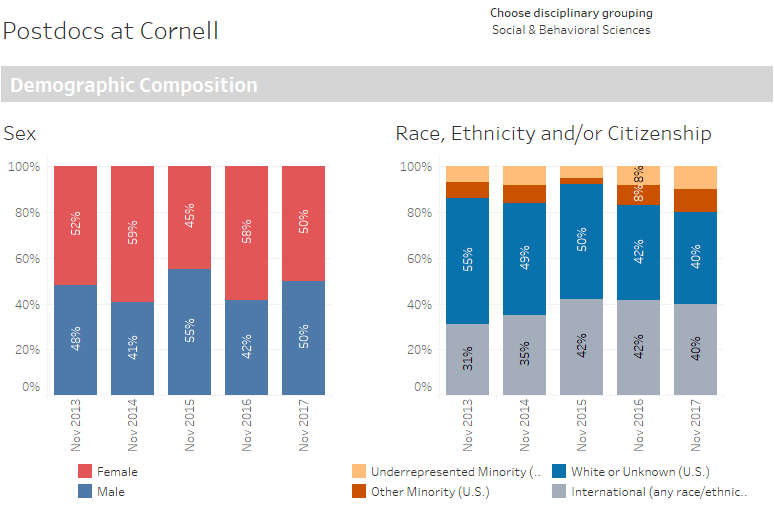 Hopefully therefore such data can help an institution appreciate what interventions may need to be made in the diversity of their postdoctoral population, over which they exert less control than they would in graduate admissions. 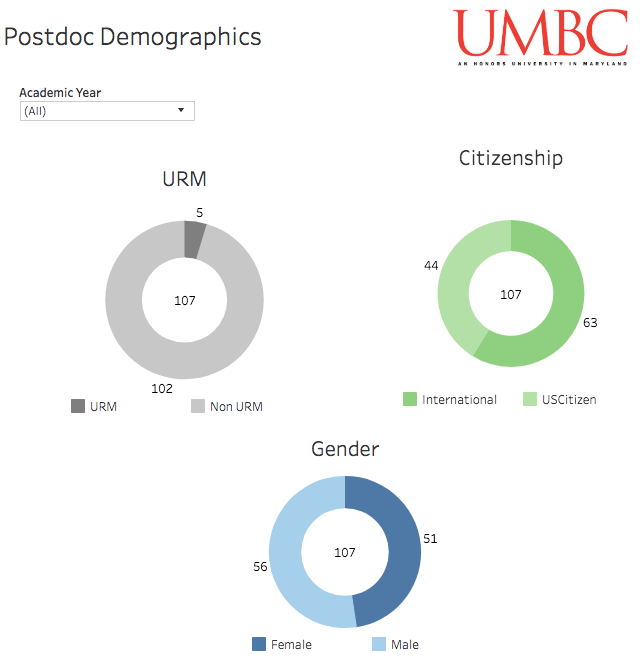 While this is not expected until the next release of data on October 1st, some institutions have included length of postdoc or time spent in postdoc so far in their data releases, and some of these are for the institution overall, whereas some are broken down into schools and departments. 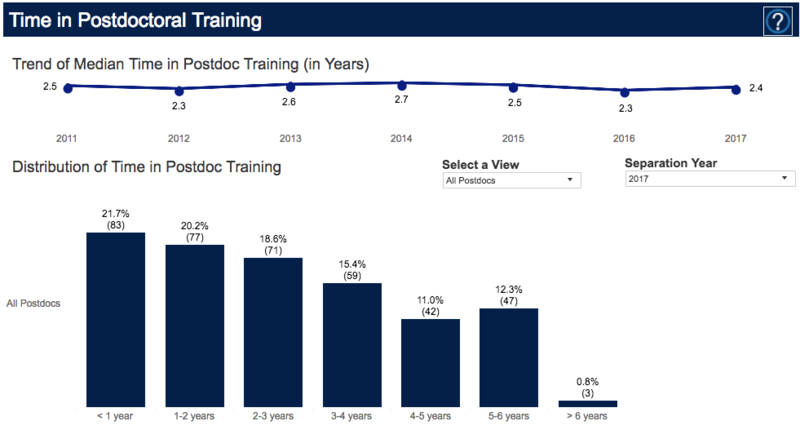 It is important to remember that the length of a postdoc is expected to vary by field (generally expected to be around one year in the humanities and on average 4-5 years in the life sciences) and also some institutional policies “cap” the length of the postdoc at 5-6 years, associated with a change in title, if not necessarily a change in duties. These factors could therefore affect interpretations of data about the length of the postdoc. 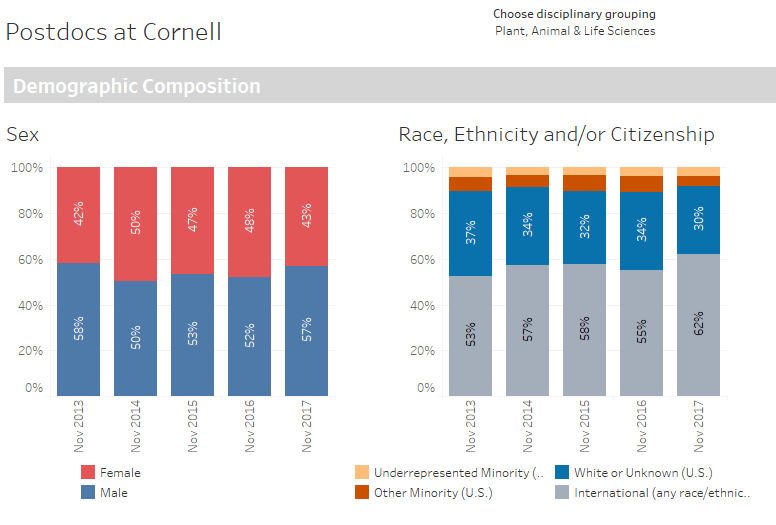 That UCSF has gathered and shared these data are so crucial to enabling us to ask further questions about what is happening during the postdoc. 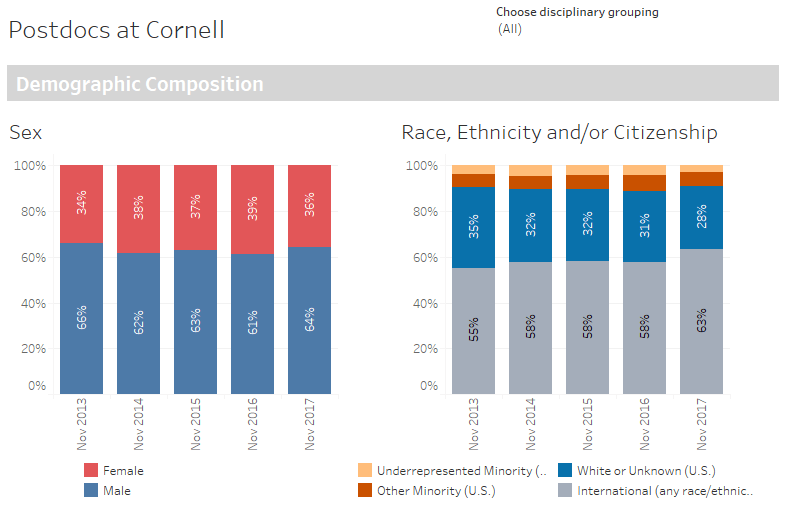 Are career decisions being made earlier? Are successful transitions being made into satisfying careers? Or are there issues with retaining people in positions and creating inclusive environments? Are these trends even meaningful? 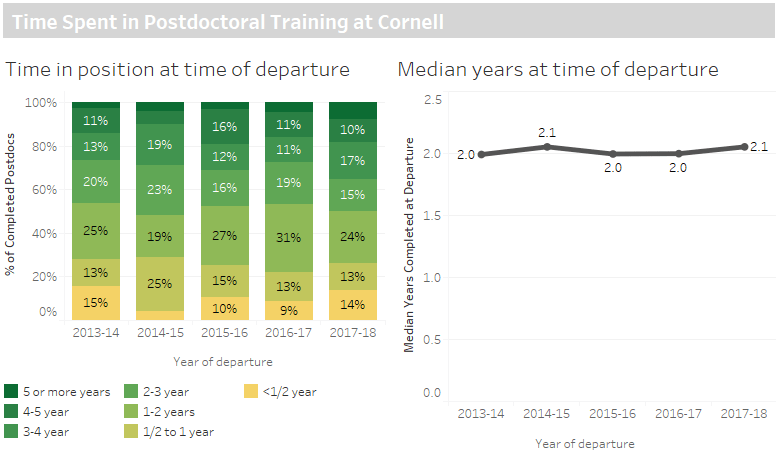 This data is critical to assessing the state of the postdoc, and then being able to use that data to assess whether to, and then to justify, making interventions at the institution. Have you found anything interesting or have questions about what this data means? Please comment below or tweet at @FoRsymp!